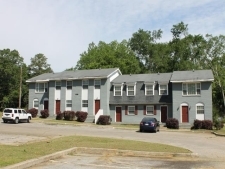 Apartment complex for sale on South Lee Street in Americus, GA. Approximately .45 acres (to be verified by the Buyer) of prime St. Marys real estate. Busy Corner! Great location to have a shop or office. DO YOU NEED A COMMERCIAL SPACE? HERE IS A BUILDING THAT COULD BE USED FOR MULTIPLE PURPOSES. In Brunswick, GA, this is a former credit union building sitting on approximately .83 acre. Commercial Property located in PRIME MIDTOWN. This office boasts 6 rooms and a half bath. Amazing property! The zoning is incredible..perfect for home, many businesses or Bed & Breakfast. One of the Last vacant commercial building LOTS available in the Tift Regional Hospital area. Outstanding, pristine property, over forty untouched acres.